Presbyterian World Mission works in partnership with the Presbyterian Church of Rwanda. Through partnership with this denomination, World Mission seeks to assist in the training of theological students and strategic church leaders, encourage denominational staff as they shift from French to English as the national language of Rwanda, support the powerful post-genocide work done by church leaders in peace building and conflict resolution, and encourage congregations and presbyteries to become financially self-sufficient. Our mission co-workers in Rwanda assist in training theological students, in teaching English, and in addressing strategic issues of women and children. We currently have three mission co-workers who work in Rwanda: Kay Day, Christi Boyd and Rev. Paula Cooper. Kay Day serves as instructor at the Protestant Institute of Arts and Social Sciences, Butare, Rwanda where Presbyterian Church of Rwanda theological students are trained along with their peers from four other Reformed denominations. 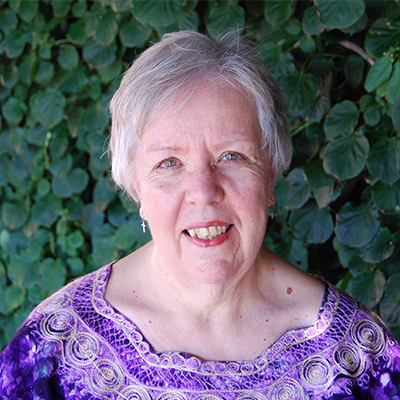 Kay teaches Practical Theology and English. Learn more about her work here. Christi Boyd lives in Kinshasa, Democratic Republic of the Congo and serves in multiple countries including Rwanda as facilitator for Women’s and Children’s Interests. Christi works with leaders of Presbyterian Church of Rwanda, including leaders of the Women’s Desk, as they engage in strategic planning around common concerns, explore ways of helping create women leaders, and organize solidarity actions and other joint activities. Find out more about her work here. Rev. Paula Cooper serves as Regional Liaison for East Central Africa, supporting relationships with partner churches in Zambia, Malawi, Kenya and Rwanda; facilitating partnerships with PC(USA) constituencies; supporting mission coworkers; and handling a variety of administrative responsibilities. Find out more about her work here. In 2013, Presbyterian Church of Rwanda established house groups across the entire church. Congregations were organized into cells of 12 to 15 families, and members of these groups began meeting weekly for Bible study, prayer and social support. These groups have contributed significantly to numerical and spiritual growth of the church. In 2013 and 2014, the church, challenged by the spread of Pentecostal approaches, also held a series of workshops to train pastors in Reformed perspectives of deliverance. Through its many schools, Presbyterian Church of Rwanda provides education to thousands of Rwandan children. The church’s Development and Health Departments work to improve health and to address challenges of poverty and declining availability of agricultural land for the country’s growing population. The church does remarkable work at all levels of the church to reconcile those whose parents were jailed for acts of genocide and those whose parents died during the genocide. Through the church’s efforts, God has healed families and relationships in unimaginable ways. Presbyterian Church of Rwanda trains theological students at the Protestant Institute of Arts and Social Sciences, Butare, Rwanda, an institute privately owned by five Protestant Churches. The Institute has expanded to include faculties of Education and Development Studies in addition to the Faculty of Theology and Religious Studies. Training of desperately needed theological students is restricted by limited funds available for their support. Consider developing a partnership with a congregation or institution of the Presbyterian Church of Rwanda in keeping with the interest of your congregation. Experience transformation of your own congregation as you witness the incredible faith of Rwandans praising God in the face of all of the challenges of poverty. Contact Nancy Collins at nancy.collins@pcusa.org for more information. To support Kay Day’s work, please make a gift to E200502. Congregations can designate gifts for Kay’s Directed Mission Support to account D507524. To support Christi Boyd’s work please make a gift to E200314. Congregations can designate gifts for Christi’s Directed Mission Support to account D506075. Help share the Good News of Jesus Christ by partnering with Presbyterian Church of Rwanda in the campaign to train leaders for community transformation. To support Presbyterian Church of Rwanda’s efforts to train theological students in Presbyterian theology and peace building and conflict resolution at the Protestant Institute of Arts and Social Sciences, Butare, Rwanda, please make a gift to ECO account E864102 and indicate “PIASS scholarship” on the memo line of your check or in your cover letter. A gift of $1,500 USD will support a student for one year. Gifts in any amount are welcome. Nurture reconciliation by supporting Peace Clubs for secondary school students at one of the secondary schools of the Presbyterian Church of Rwanda. Make it possible for students to learn about and engage with their colleagues in peace building and conflict management. Please make a gift to ECO account E864102 and indicate “Secondary School Peace Clubs” on the check memo line or in your cover letter.